Home Diet Weight Loss Supplements Should You be Taking Them? Weight Loss Supplements Should You be Taking Them? You only have to walk down the road, open a magazine or switch on your TV to see that weight loss supplements are all the rage. The mega weight loss industry giants have many options available that take advantage of the different genetic variations, metabolisms and exercise habits of people who desire to lose weight. Obesity is a problem that faces around two thirds of the American adult population and about 15% of the teenagers. And this figure is slowly creeping up in and around many other western countries as well. The number of weight loss supplements that are becoming available is also growing as the waistline of Americans continues to expand. Although the way to lose weight is simple, the execution is difficult. Many people turn to weight loss supplements because changing their eating habits is very difficult and using supplements and pills can sometimes help reduce the challenge. We also want fast progress. We want fast food, fast Internet, fast service and fast weight loss. We want it all, and we want it all quickly and painlessly. Weight loss supplements fall into two large categories; over the counter and prescription medications. Prescription supplements are only available through your doctor and a licensed pharmacist. Prescription medications have undergone severe testing by the Federal Food and Drug Administration (FDA). The manufacturing of these products is also regulated. Over the counter weight loss supplements are not regulated by the FDA and are not classified as drugs. Because they are not classified as drugs there is no regulation on their distribution or the manufacturing process. And there usually are no stringently performed research studies that evaluate the efficacy and side effects of the weight loss supplements. Ephedra is an example of a weight loss supplement that has shown a high success rate with quick weight loss but also has very serious side effects, which include blood pressure problems, cardiac issues and death. Hoodia Gordonii is another supplement that has some medical consequences. There is credible weight loss in small studies but only one type of the Hoodia has the P57 component that is the appetite suppressant. There is some pure Hoodia but there are very few manufacturers that guarantee the authenticity and quality of the product. Many of the over the counter weight loss supplements use caffeine as their active ingredient. Caffeine dehydrates the body and the client feels an initial ‘thinness’ but there is rebound bloating when the body attempts to retain as much fluid as possible for survival. When you choose a weight loss supplement , look at the ingredients – both the active and inactive ones. Pills often have inactive ingredients that can affect you adversely, sometimes as much as the active ingredients. Check with your pharmacist if you are taking any other medications to ensure there are no known drug interactions between the drugs you already take and the over-the-counter medications you are considering. 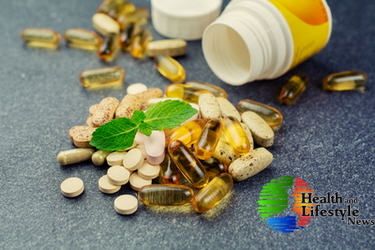 Just because it is labeled a supplement, or all natural or herbal doesn’t mean that it doesn’t have side effects or can’t interact with medications you are already taking or with any underlying medical conditions. Weight loss supplements should only be used in conjunction with eating habit changes since once you stop taking the supplements and go back to old eating habits your weight will rebound and you’ll gain even more weight than you originally lost. Weight loss supplements are a tool in the battle of the bulge. Used correctly and with care they can help you to develop good eating habits that you can continue with when the supplements are no longer being used. (3) Planta Medica; Characterization of in vitro pharmacokinetic properties of hoodigogenin A from Hoodia gordonii.